After the horror that was the prequels, Star Wars made a triumphant return in 2015 with The Force Awakens. 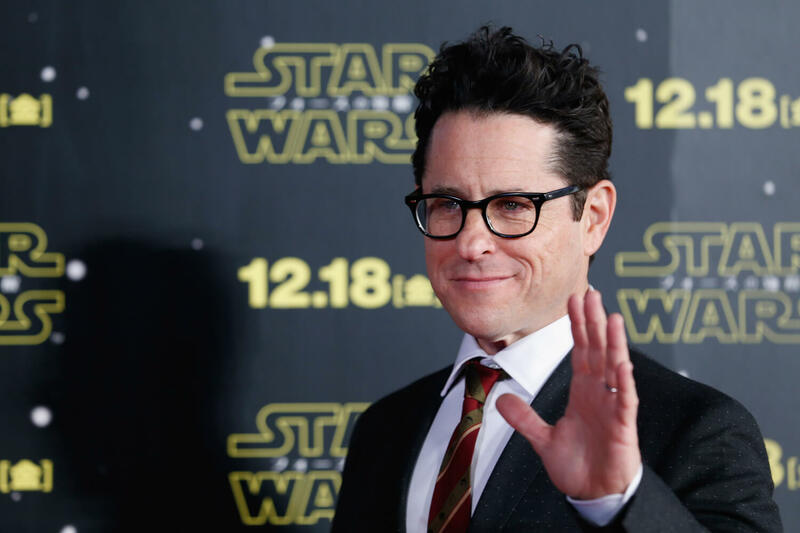 J.J Abrams directed Episode VII, which broke several box office records, and Rian Johnson is behind the camera for the upcoming Episode VIII: The Last Jedi. Now, following Colin Trevorrow's departure from Star Wars: Episode IX, it's been revealed that Abrams will be returning as director for the last movie. While the final entry in the current trilogy of Star Wars titles isn’t set to hit cinemas until December 2019 (its release was delayed by six months), the project has already faced a number of setbacks. In August, British screenwriter and playwright Jack Thorne was brought onboard to rewrite the script. A month later, Jurassic World director Trevorrow dropped out. A statement from Lucasfilm blamed the split on creative differences. Lucasfilm added that Abrams would also be co-writing the movie alongside Chris Terrio, screenwriter for Argo, Justice League, and Batman v Superman: Dawn of Justice. This isn’t the only Star Wars franchise with director problems. Chris Mill and Phil Lord were recently fired from the standalone Han Solo movie by Kennedy. Ron Howard was brought in to replace the pair. Early last year, Abrams confirmed that the Half-Life and Portal movies we’re still in development. “we've got writers, and we're working on both those stories,” he said in an interview. I foresee Lightsabers causing lots of lens flare. ghostf1re, psycros and p51d007 like this. Episode 7 was just a remake of Episode 4 with a fresh coat of paint. It was good (personally I really liked it) but popularity/nostalgia was its main selling point, not quality/creativity/originality. The real excitement will be with Monsterverse, can't wait for the 3rd installment, or Godzilla 2019. Rodan! Ghidorah! Good lord! Hmmmmmm ..... just seems to me that the series is getting a bit old and thread barren. Don't know if it's because of Star Wars or so many imitations out there but frankly .... I'm ready for a good old fashioned Western. Could somebody dig up Gene or John, dust them off and get them back in the saddle?? H3llion and p51d007 like this. Aren't Star Wars westerns set in space? IMO, anything Abrams touches turns to dust. Star Trek: Into Darkness was about the worst possible remake of the Khan story there could possibly be. Personally, I did not like Episode 7 because it was Episode 4 all over again. The nostalgia was just not enough to cut it for me. I would rather watch "The Clone Wars" over again or "Star Wars: Rebels" than go to the theater to see these. To me, it seems that Abrams thinks all his audiences want to see is explosions and fight scenes. As long as his movies have those two elements, why bother with a good story? Personally, I think he is way over-rated. As I see it, Hollywood is suffering from remakeitis. It seems movie execs think that the public will not want to see anything that has an original tittle and is not based off something that everyone already knows. I am much less likely to see a remake than I am an original movie. Arrival, IMO, was an excellent movie that was thoughtful and entertaining and, gasp, original. If Hollywood made more movies like that, I might spend more of my dollars at the theater, however, many movies these days lack depth and inspiration. amstech, dob_1, psycros and 1 other person like this. And of course, Marion Robert Morrison didn't play. Looks like you might be SOL on this quest. I think the best you can hope for these days, is outer space movies where the "gunslingers" use weapons which have typical hand gun configurations. The fact that the "Pass" you have to "head the gang off at", might be a couple of galaxies away, shouldn't prove insurmountable when trying to interpolate scripts with old cowboy movies. Even the props should prove simple enough. For example "Millennium Falcon" equates to "Old Paint"
No problem...after SW 1,2,3...I gave up on the entire thing. That's the problem with hollyWEIRD. They wouldn't know how to create something ORIGINAL if it bit them in the azz! the same CGI over and over again. I was all excited until I read this... "Lucasfilm added that Abrams would also be co-writing the movie alongside Chris Terrio, screenwriter for Argo, Justice League, and Batman v Superman: Dawn of Justice." Have you seen Hell on Wheels (AMC/Netflix) and Deadwood (HBO/Amazon Prime) TV shows? If not, you'll enjoy streaming them. So . . . someone wrote the script, then they brought in "British screenwriter and playwright Jack Thorne" to rewrite it and now Abrams will be co-(re-re)writing the movie with Chris Terrio? Sounds like they have a solid plan and unified vision! What could go wrong? Agreed! Great visuals but lazy story telling in Episode VII remaking IV. Especially when there was a universe of good stories in the books that could have been told. Also JJ Abrams likes "moving camera" rather than "moving picture". Action is simulated by the jerkiness and blurring of the camera shots - I reckon that is one of the things that ruined the Star Trek reboots. Its just poor cinematography. The cowriter worked on Batman v superman?? ?, oh oh. Personally, I thought "Into Darkness" was better than the rest of the reboot films and that Rogue One was a good expansion on IV. IMO, part of the reason that I liked them is probably because Abrams' touch of death was absent.